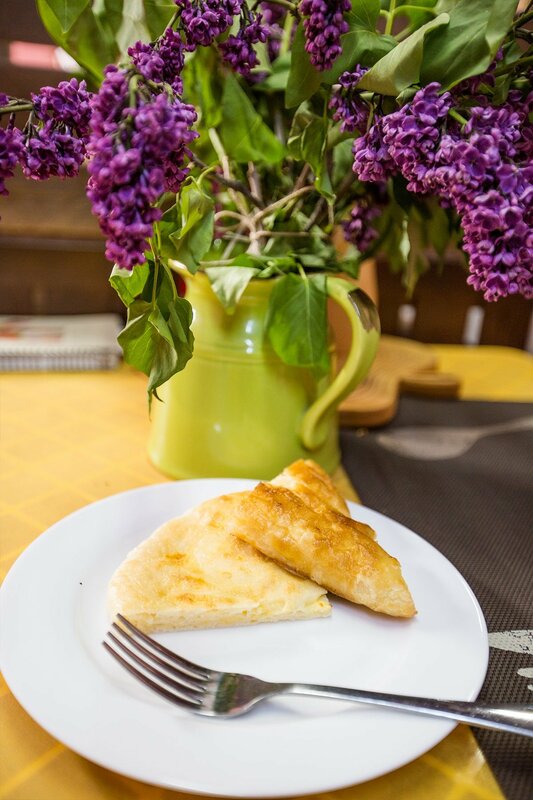 Khachapuri, a traditional Georgian cheese bread rich with history from the Caucasus region, is a decadent and delicious rich appetizer. 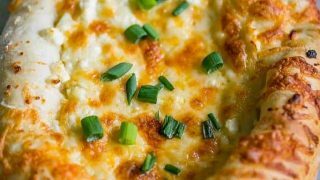 Khachapuri – the decadent and delicious Georgian cheese bread – is a lot like a cheesy pizza bread, a sauceless cheese pizza – sometimes topped with butter and egg, for an out-of-this-world comfort food classic that everyone loves. Khachapuri Georgian Cheese Bread is one of the most well known dishes of the Republic of Georgia, and it’s major city Tbilisi – and comes in two different and distinct shapes. This recipe reflects the Adjarian Khachapuri – the boat shaped cheese bread which is topped with a pat of butter and raw egg (which cooks just enough on the hot bread to solidify the white, but leases the yolk deliciously runny and creamy, giving this bread a sauce to dip in that cooks right with it!). 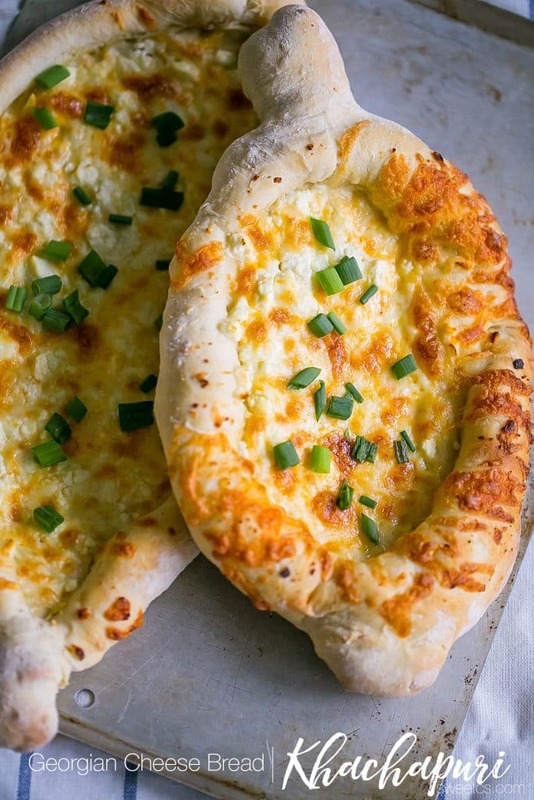 My husband and I developed this recipe after visiting the Republic of Georgia a couple of years ago for my brother in law’s wedding – and the entire country grabbed our hearts so strongly, we were delighted to be able to recreate a piece of Georgia at home whenever we’re craving rich, delicious, and super cheesy Khachapuri cheese bread! just take me to the khachapuri Georgian Cheese Bread recipe already! If you’d rather skip my (very helpful, i think) tips and tricks, essential cooking info, and similar recipe ideas – and get straight to this deliciously easy cheese bread recipe – simply scroll to the bottom of the page where you can find the printable recipe card. Rich, cheesy bread is one of the best known and most delicious Georgian staples…. and is starting to become a more and more common find on menus across America, outside of the traditional Russian bakeries that were the only spots you could find it a couple years ago. 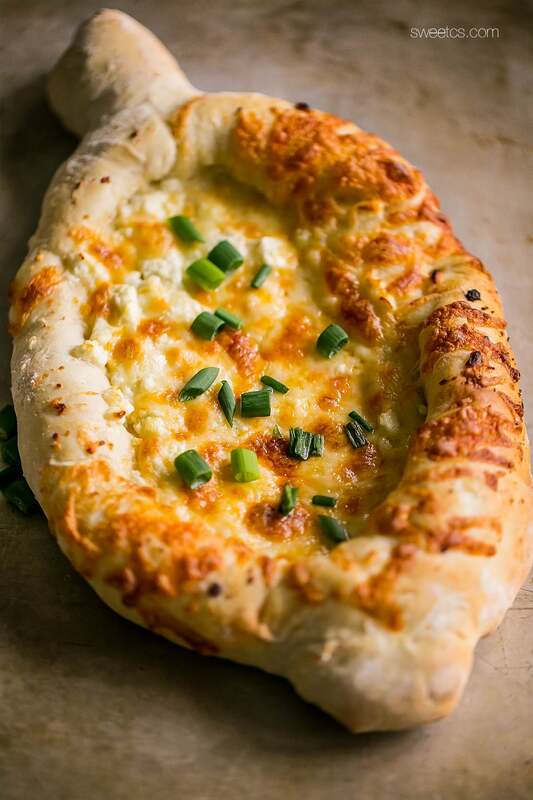 Forbes even recently named Khachapuri their absolute favorite cheese pizza! While not technically a pizza, Khachapuri is made with a pizza-like dough, and tons and tons of delicious, salty, melted cheese. 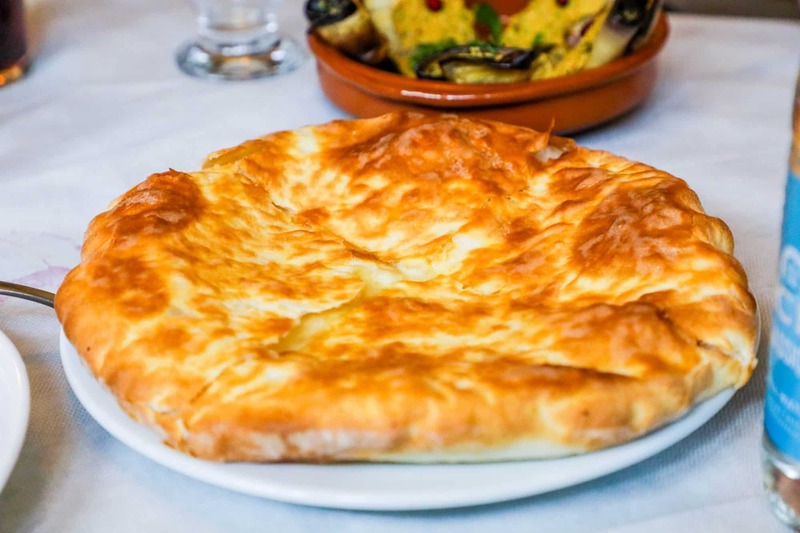 Some types of khachapuri (like the kind my friend Lauren of Explorer Momma’s mother in law makes) is shaped a lot like a cheese pizza – a big, puffy round disk, filled with cheesy goodness that you can’t get enough of. There are two types of Khachapuri – the Georgian Cheese bread comes in two distinctly different types – Imeretian Khachapuri, which is round and shaped like a pizza – and Adjarian Khachapuri, which is shaped like a boat and topped with pats of butter and raw egg to create a rich, gooey sauce when eating. To make khachapuri, you will use a lot of the same techniques as making a pizza or pizza cheese bread – you will need to make a dough and let it rise, punch it down, and rise again – you will need to shape the dough, and mix in the cheese – and then you will need to bake it, preferably on a pizza stone for the absolute best results. Khachapuri is surprisingly easy to make. 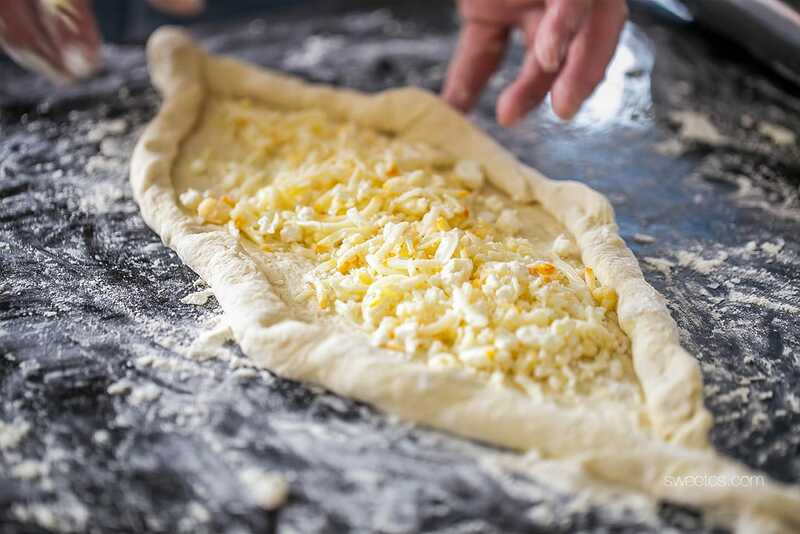 It starts with a simple leavened and risen pizza-like dough, and topped with a mixture of feta and muenster cheeses, to give a similar flavor to the fabulous suluguni cheese you’ll find in traditional Georgian Khachapuri. Since we don’t have a cheese quite like the slightly sour, stretchy and salty suluguni, a bit of mixing does the trick nicely. I use a blend of two cheeses to make up for the lack of the very specific cheeses used in traditional Khachapuri – muenster has a bit of tanginess, but offers that perfect stretch you need for khachapuri- and a fresh, slightly grassy feta will help round out the flavor to be close if you can’t get something closer to the traditional aged farm cheese. This recipe is all my husband’s handiwork- he loves to cook, and when he does, it is ALWAYS awesome! 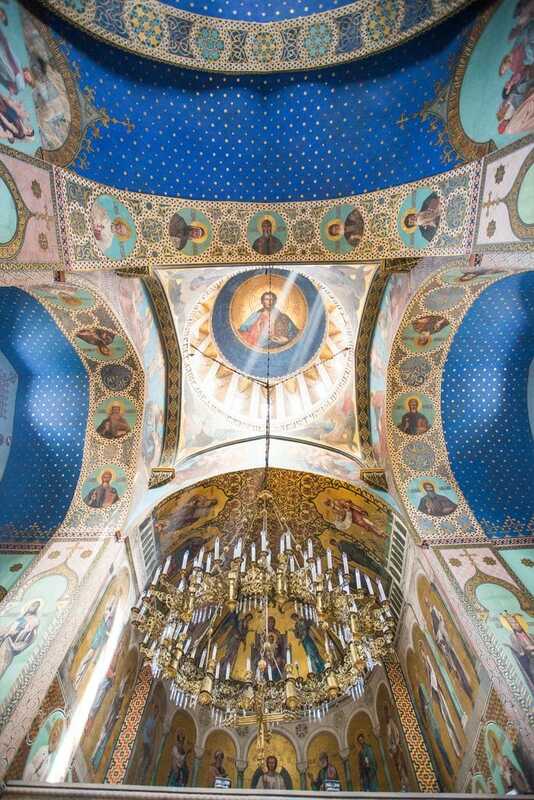 I’m going to be honest- of all the places on earth I dreamed of visiting, Tbilisi Georgia was NEVER at the top of my list. 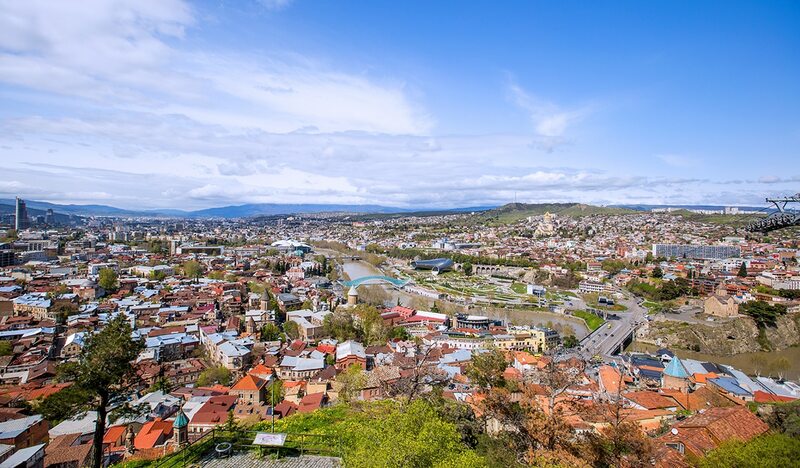 I had nothing to go off of, but Tbilisi was just never a place I had heard much about as a tourist destination- so when my brother-in-law announced he was going to hold his wedding in Georgia, I was a bit flummoxed. Tbilisi, and the entire Georgian country, completely blew me away- and quickly topped my list of places I have ever travelled to and want to visit again and again. 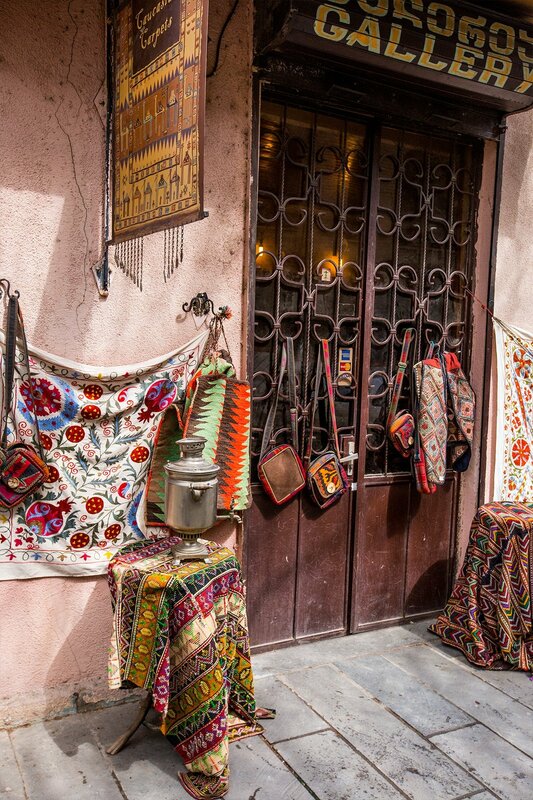 Tblisi is gorgeous, super affordable, very friendly to Americans, and full of things to do. If you’re interested in food history, Georgia is also fabulous to explore. 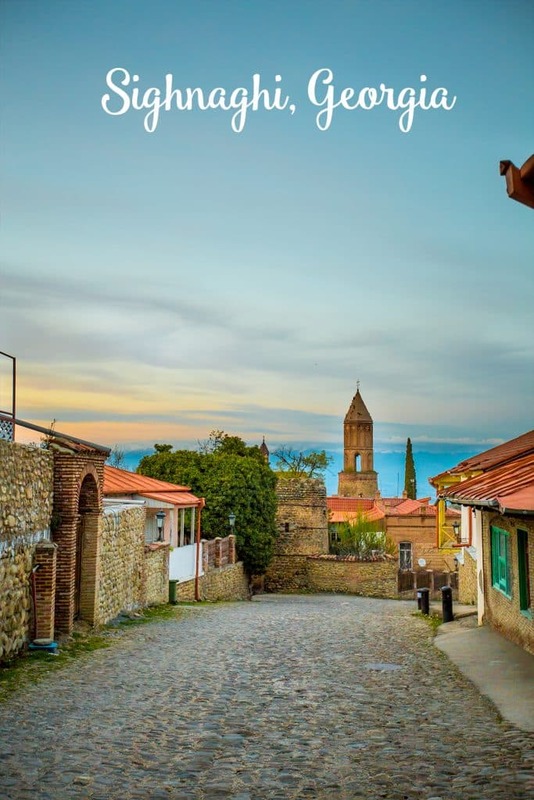 Since Georgia is situated in the Caucasus mountain range, it is the perfect spot to see how trade routes from Asia and the Middle East mixed with Europe and Russia – and how each culture has left it’s mark to create a uniquely delicious culinary experience you won’t find anywhere else. 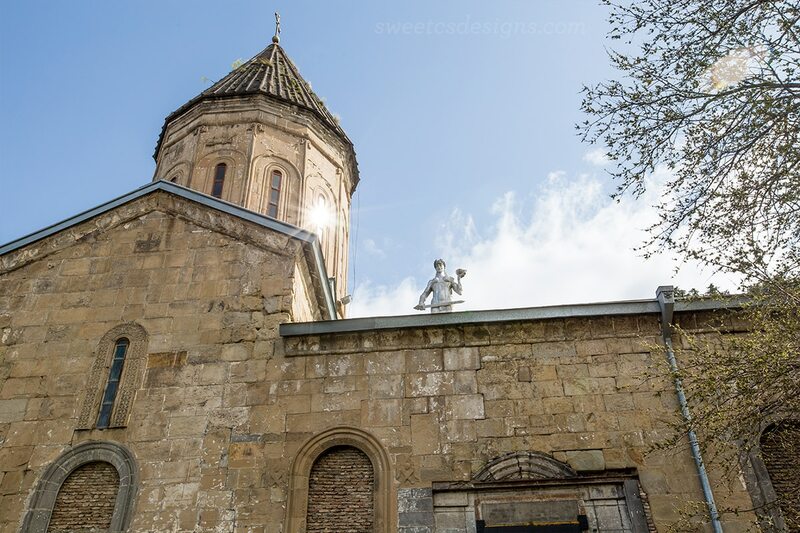 Touring both Armenia and Georgia was such a treat for me – the foods are simple, rooted in rich history, and are outstandingly delicious. 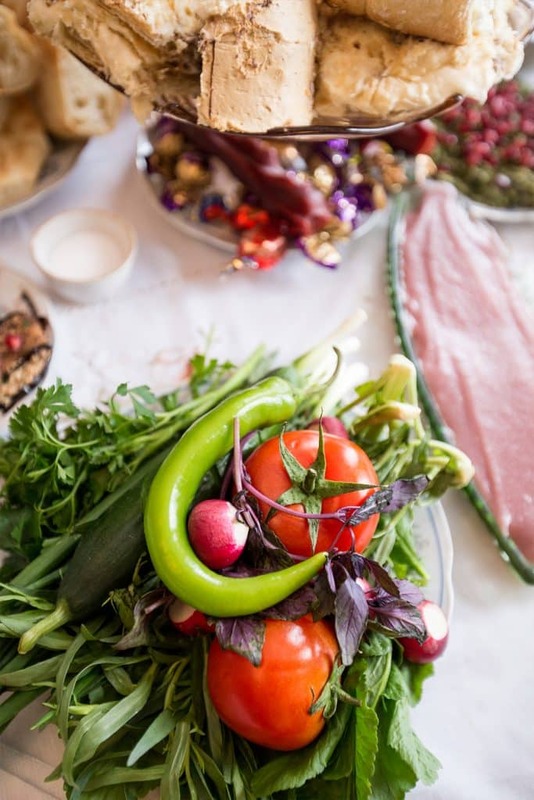 One of my friends who lives in Tbilisi jokes that Georgians made organic food fashionable long before it was “in” in the west – partially because they couldn’t afford chemicals under communism – which has in turn resulted in some insanely delicious food unlike anything I’ve had anywhere else. You’ll find a lot of “ugly” fruits and vegetables in Georgia, sold from small roadside stands or table-stands around town with farmers displaying their bounty – that are sweeter, crisper, and bursting with flavor unlike a lot of the “perfect” and pretty fruit you find the US. 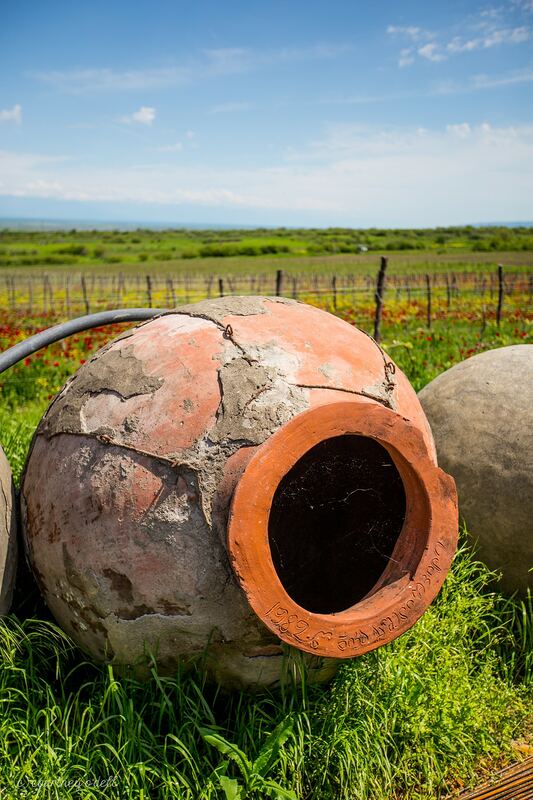 Georgia, and next-door neighbor Armenia are known to be the ancient homes of winemaking – with archaeological finds of winemaking tools dating back to 4,100 BC. 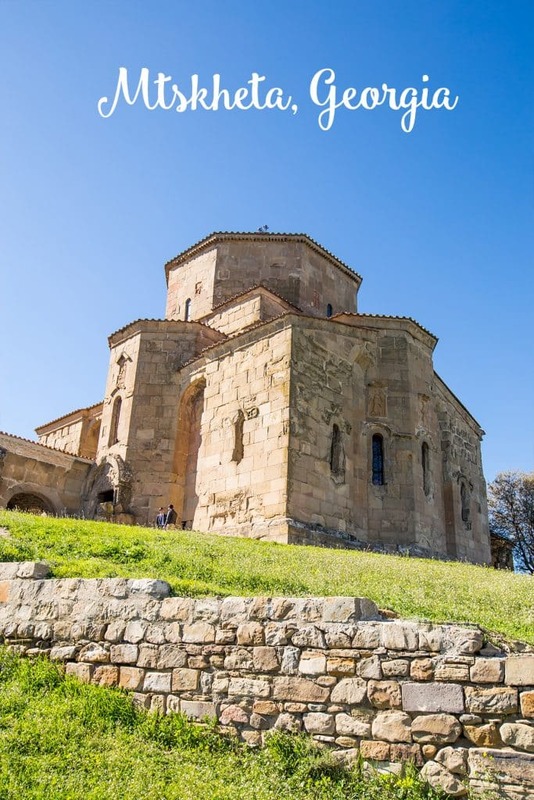 There are many places in the Caucuses where you can see ancient winemaking relics, learn about the role of wine in early Christianity (especially thanks to Saint Nino, whose Monastery sits high above the Khaketi winemaking valley region). Of course, Georgia has so much to offer besides Khachapuri (though really, I am not overstating how much I love this bread- I could travel across the world in an instant for some!!). She met her husband while serving in the Peace Corps in Georgia, and both Lauren and her husband’s love for his home country has only fueled our love for Georgia, too! In these photos, my version doesn’t have the traditional raw egg on top, since we made them for our church Pascha potluck- and we couldn’t maintain a proper temperature for an uncooked egg yolk. Simply add an egg on the top of yours, right as you pull it from the oven, if you want the most decadent experience. Conversely, you can skip it if you have a similar food safety concern! 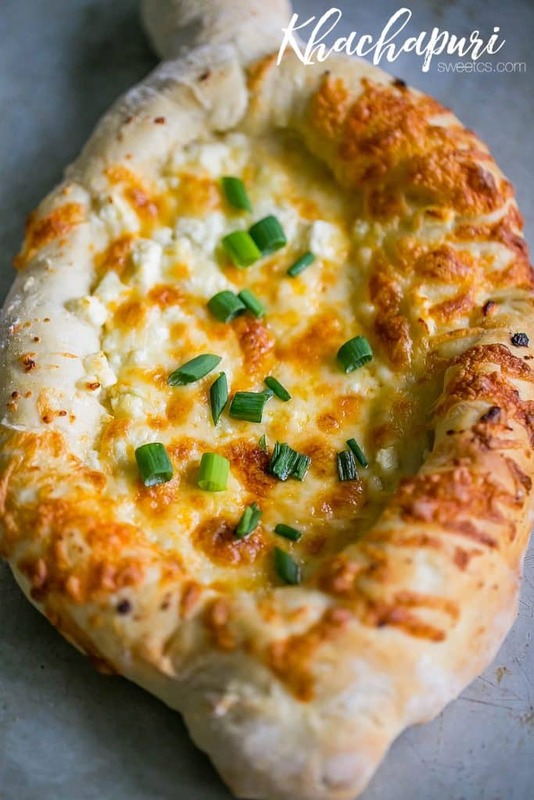 If you love this Khachapuri Georgian Cheese Bread Recipe recipe as much as I do, please write a five star review, and be sure to help me share on facebook and pinterest! In a large bowl, add water, sugar and yeast. Let bloom until foamy and fragrant, about 10 minutes. Add flour, olive oil, and salt to bowl and stir with wooden spoon until a soft, springy dough forms. Transfer dough to well greased bowl and let rise in a warm area for 1 hour. Generously flour a counter surface. Punch down dough, and divide into two round balls. Roll out one ball onto floured surface into a large disc, about 1/4" thick. Add 1/4 cheese mixture to the center of the dough. Roll the sides to form a boat shape around the dough. Add another 1/4 cheese to the middle and place into oven. Bake 30 minutes, or until cheese is bubbly and crust is a golden brown. Top with fresh egg and pats of butter when removing from oven. Repeat with second disc for second Khachapuri. I’m drooling! I just went to Georgia a few months ago and I can’t wait to plan another trip to the region. I can’t wait to try this recipe! Your photos are exquisite!! Between the photos and your stories I felt like I was there!! OH, the recipe looks fabulous but I don’t understand the comment about pizza stones exploding. Our pizza stone lives in the oven, the only time it comes out is when we use it and it’s never exploded. I love how you mentioned that you’ll find lots of “ugly” fruit in Georiga, vs the beautiful fake fruits in the grocery stores at home haha… it’s true! I’m lucky enough space to have my own garden in the backyard. Nevertheless, great post! Hello! My family is actually Georgian, Russian and Ukrainian and we make these all the time. We actually use El Viajero Queso Blanco Fresh Snacking cheese. We get it from costco or Walmart.. We found this cheese to be the same exact as they make back home. We also brush the dough with egg wash before putting it in the oven. You can try it next time and see how you like it! That sounds amazing Juliana! Can I come over for dinner sometime? Your family probably makes all of my favorite food!!!! Lovely photos. And that cheesy bread! Yum!! Thanks for sharing at the Inspiration Spotlight Party. Pinned & shared. Fabulous!! I hope you’ll share more recipes from the area!! Thanks for sharing on Throwback Thursday! The carbo-holic in me is screaming YES PLEASE! The combination of cheeses sounds intriguing. A great way to imitate cheese we don’t have here. Thanks for partying with us on Creative K Kids Tasty Tuesdays. I always love to see what you bring. My mouth is watering! I definitely plan to make.kt, and thanks for the link for the pizza stone. Have wanted one, and I end up buying them and giving them away as gifts. Lol. I definitely would put the egg on top, probably a fresh laid duck egg, or two, which I get all of my eggs from a friend whom has chickens and ducks. There is NO comparison to store bought! Lol. Do you think specialty cheese stores, or Whole Foods or Sprouts may have the authentic cheese this recipe calls for? Courtney, I have never been to Georgia, but we studied about the country as a family and made this bread to go along with it. I love it! Thanks for sharing your version.